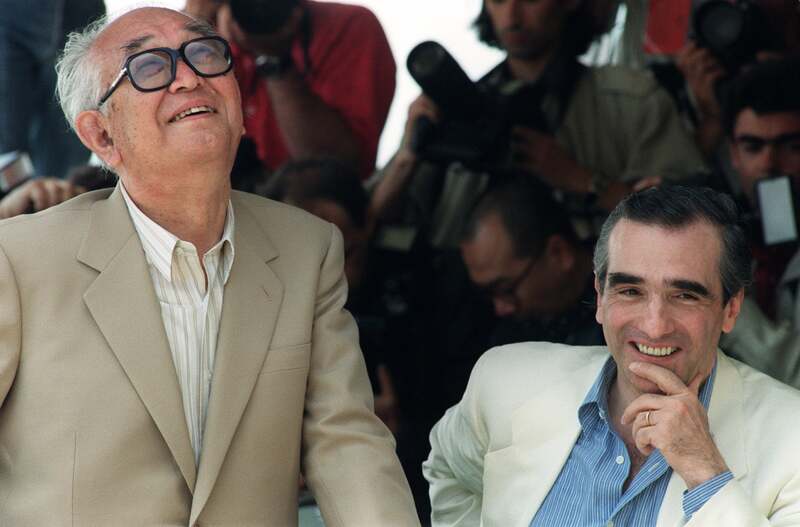 By the time Akira Kurosawa and Martin Scorsese met on the Croisette in 1990, both were already celebrated master filmmakers. Scorsese had one Palme d'Or (Taxi Driver) and one Best Director prize (After Hours), plus three nominations for the Palme (Alice Doesn't LIve Here Anymore, The King of Comedy and After Hours) and one Golden Globe nomination for Raging Bull. Kurosawa, one of Scorsese's idols and main influences (a sentiment shared by his generation of 1970s rebel filmmakers) had one Palme (Kagemusha) and one nomination (I Live in Fear), plus a Golden Globe nomination for Kagemusha. This was a sweet, leisurely get-together of old friends and mutual admirers over a personal project- Kurosawa's lyrical and extraordinarily beautiful Dreams, in which Scorsese, ever the obedient disciple, worked as an actor, playing Vincent Van Gogh. The film opened the 43rd edition of the festival, out of competition, and was received with applause and raves, going on to win a Golden Globe nomination. " Akira Kurosawa's Dreams (is) a visionary work that is at once surreal and crystal clear. Arranged as a series of separate vignettes, this group of fables displays a gentle, reflective eloquence. ", wrote the great Janet Maslin, film critic of the New York Times.